Paul Joshua Alay is the HR Consulting and Payroll Manager of Kittelson & Carpo Consulting. Paul has been practicing his profession in the HR industry for ten years and had worked for multinational corporations and local organizations of varied corporate sizes. He has in-depth and extensive professional experience with a wide range of industries, with special focus on the industries of Mining, Manufacturing, Consumer Electronics, Pharmaceuticals, and Tech/IT-BPO. Having been exposed to different levels of decision-making and operations, he has gathered and compared best practices in Talent Acquisition and Retention, Organizational Development, Salary Structure, Total Rewards Management, and HR Operations. 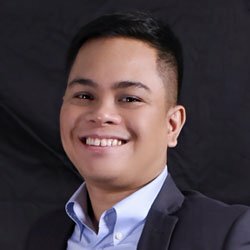 He obtained his undergraduate degree in Psychology from the University of the Philippines – Diliman and earned Post Baccalaureate units in Industrial Relations from the same university.